Introducing our Post Feed App. 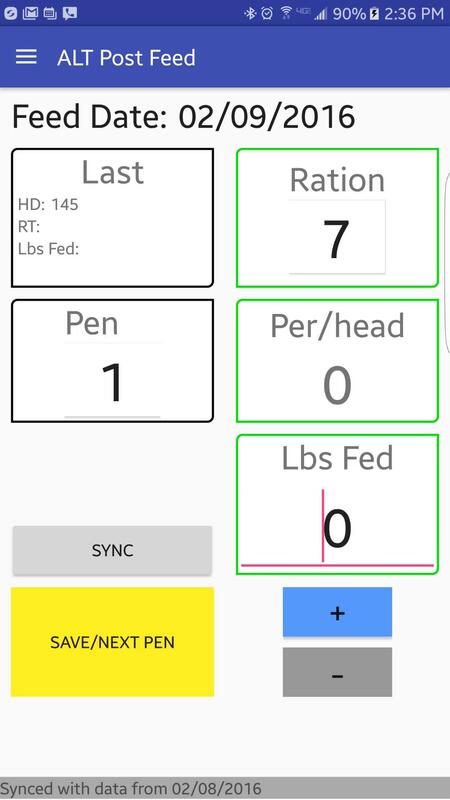 Now you can upload your feed data at the click of a finger while feeding pens. Syncs to your computer using Dropbox, so there are no wires involved, and posts show up on computer almost instantly. 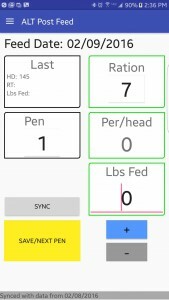 App shows previous day feeding history, and has large UI controls for easy use. This app requires the most recent version of Advanced Livestock Tracker, and a low monthly subscription. For more information please call Meghan Anderson at 308-379-1467 or John Bergstrom at 620-521-2383.